Whether you’re building a new bathroom or remodeling an old one, having a glass shower enclosure installed is a great way to enhance your bathroom’s beauty. If you’ve been considering having one installed at your home in Johns Creek, GA, turn to the experts at Kennesaw Glass & Mirror. We are a locally owned and operated company and have been in business since 1987, so you can trust that we have the experience and knowledge required to properly install glass shower enclosures, as well as a number of other glass products. Customized to fit perfectly into your home by one of our experienced glaziers at our local workshop. Easy to maintain and clean because they don’t have a shower curtain or the metal tracks and attachments that come with standard showers. Made out of a high-quality tempered glass which makes them durable and helps prevent breakage. 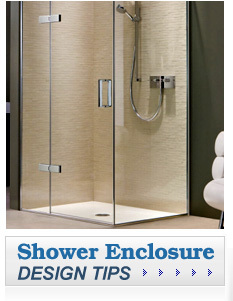 Elegant and stylish and can make your bathroom feel larger and more open. Backed by a 100 percent satisfaction guarantee, which means we won’t be satisfied until you are. For more information about the glass shower enclosures that we fabricate and install for residents in Johns Creek, GA and the surrounding areas, contact the glass experts at Kennesaw Glass & Mirror today.